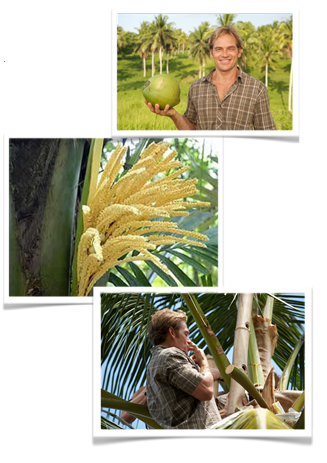 The new Shakeology Tropical ingredients are not just a new flavor, it’s an entire new formula. This proprietary blend of ingredients is 100% vegan or plant-based, contains no whey protein and no dairy, and is lactose-free. The unique and propriety blend of plant-based protein provides all 9 essential amino acids plus other non-essential amino acids. So what is this special protein blend that is unique to Shakeology Tropical ingredients? The main one is raw, sprouted, bio-fermented brown rice. Do not underestimate the value and power of plant-based proteins when synergistically blended together. Brown rice protein in this state is a complex and complete protein. Other foods that round out the protein profile are Sacha inchi, Chia, Flax, Quinoa, Amaranth, and Spirulina. There are many benefits to Tropical Shakeology but one of the most important to me is it that it’s based on whole food nutrition. The nutrients in this formula come exclusively from whole foods. The quality starts with the soil in which these foods are grown, right through to the product line. Whole food nutrients are absorbed by the body more effectively and every person can benefit from the Tropical Strawberry health shake. With these ingredients, micro-allergens possibilities are eliminated, allowing for ease of absorption and bio-availability. 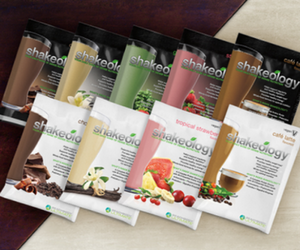 This Shakeology is truly a pure superfood drink. 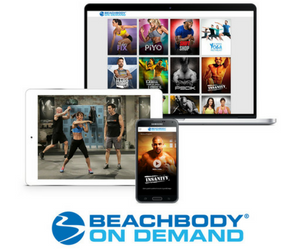 If you are a Shakeology lover, you may already be familiar with the ingredients in the original formulas. This new flavor contains some exciting new ingredients! Coconut flower nectar: this nutrient-rich, naturally sweet nectar comes from coconut trees. Rich with vitamins, amino acids, and vitamins, this natural sweetener also has a very low glycemic level. Luo Han Guo: You may have heard about this natural sweetener that comes from an herb in China. Some key benefits that I love are that Luo Han Guo does not elevate blood sugar and known to inhibit the growth of candida. It also helps to support your immune system and works like an antioxidant. Himalayan Salt: Found deep in the pure Himalayan Mountains, this salt hand-minded and rich in minerals like calcium, potassium, iron, copper, calcium and over 70 trace minerals. It contributes to the sweetness of Tropical Shakeology and is free from toxins. Konjac Root: Naturally helps to reduce cravings and feel full longer after a meal by slowing down how fast your stomach empties eating. It contains a dietary fiber called glucomannan which absorbs 200 times it weight in water. With all these natural, vegan-based ingredients Shakeology Tropical Strawberry is your perfect choice for a healthy lifestyle on the go. 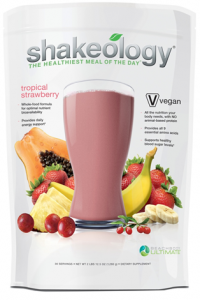 Shakeology Tropical ingredients are great for your vegan lifestyle!